New Exhibit: Protection and Warmth, in the Contemporary Art Gallery. August 1 - October 31, 2015. Clothing keeps us warm and protects us from the elements. Explore the evolution of Native American clothing in New England from pre-contact times to the 21st century. Guest curated by Vera Longtoe Sheehan. Opening reception, Saturday, August 1, 1pm-3pm. Mt. 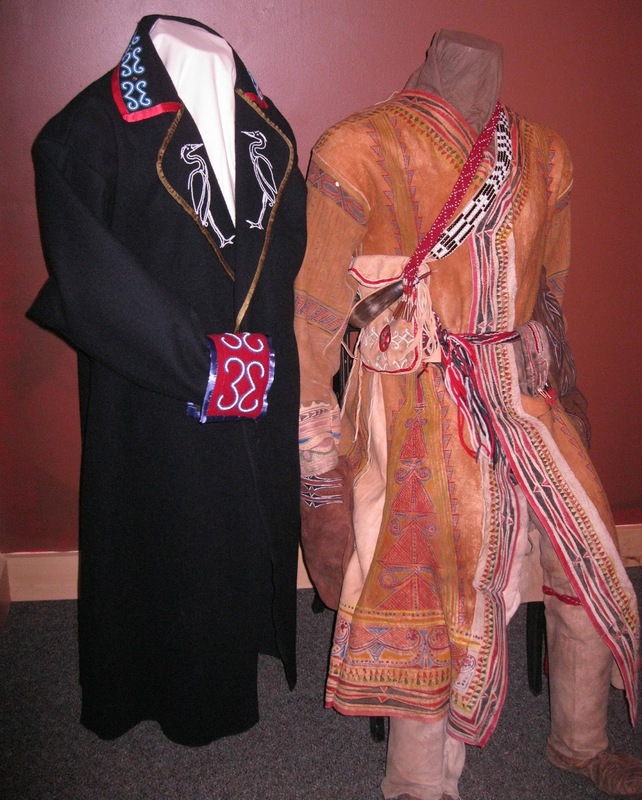 Kearsarge Indian Museum, 18 Highlawn Rd, Warner, NH, 603-456-2600, www.IndianMuseum.org, info@indianmuseum.org. Admission to the Art Gallery is always free. Book Signing: Wabanaki Blues by Melissa Tantaquidgeon Zobel, August 1, 1pm-3pm. Mona Lisa LaPierre is a 17-year-old Native American/French Canadian blues musician who becomes embroiled in the unsolved murder case of another musical teen killed at her Hartford high school 20 years ago. When Mona's parents send her to live with her grandfather in rustic New Hampshire, she derives insights about the murder, her music, & her place in the universe. Mona learns that to achieve what she most wants, she must sacrifice what she most loves. Author Melissa Tantaquidgeon Zobel is a citizen of the Mohegan Tribe of Indians of Connecticut. Mt. Kearsarge Indian Museum, 18 Highlawn Rd, Warner, NH, 603-456-2600, www.IndianMuseum.org, info@indianmuseum.org. Admission is free.